Been playing with a Surface RT for a few days. Tiles and lists work very well on a phone and tablet. Browsing, reading, and statusing are all good. Also avoiding the Metrotop confusion by not opening the “desktop” or wondering why Office apps prompt a launch Office 365! Elegant is a good descriptor or a fast wheel that was built with a slight wobble. An OS that’s convoluted with desktop and mobile modalities is as much about a boardroom fight as the transition from old to new computing metaphors. Why would a bike blog review Windows-based consumer electronics? Cause we’re based in Seattle and ride with many cyclists who work on Surface, Windows 8, and IE 10. They’re as into what they do as any creative and developer. Whatever market forces are at work causing Surfaces to get overlooked and hated isn’t my concern (buyers on Amazon sure like them), respecting the work of our colleagues and cyclists is. In a few weeks, we’ll have Google Glass in at Hugga HQ too, and visited Google’s offices in Fremont last month. While there played with a Chrome Pixel and also very interested in that OS. 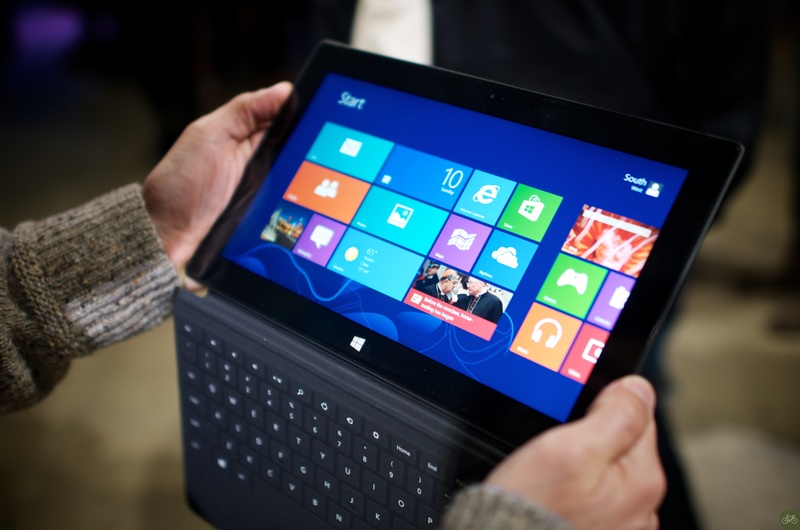 MS has done a good, great job with this tablet. Sure there’s some cruft in a Surface RT, but what OS is free of that? None. If I can get photos to ingest from a SD card, edit, and upload, then the Surface RT will go on the road with me. 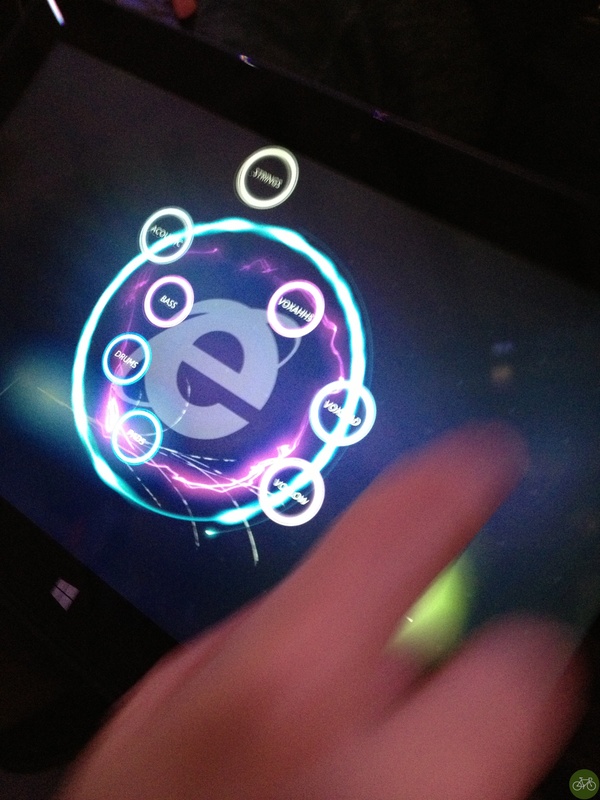 At SXSW, also tried out the Surface Pro and for what I want to do with a tablet, prefer the RT. You can practically hear the battery drain on the Pro and the heat will sear a Windows logo into your thigh. It’s a bit thick and heavy for a tablet and meant to carry from meeting to meeting. Not in a Chrome Niko bag on a ride or on an seat back tray flying to another media event. I’m testing the 32 G Surface RT with a black TouchCover. 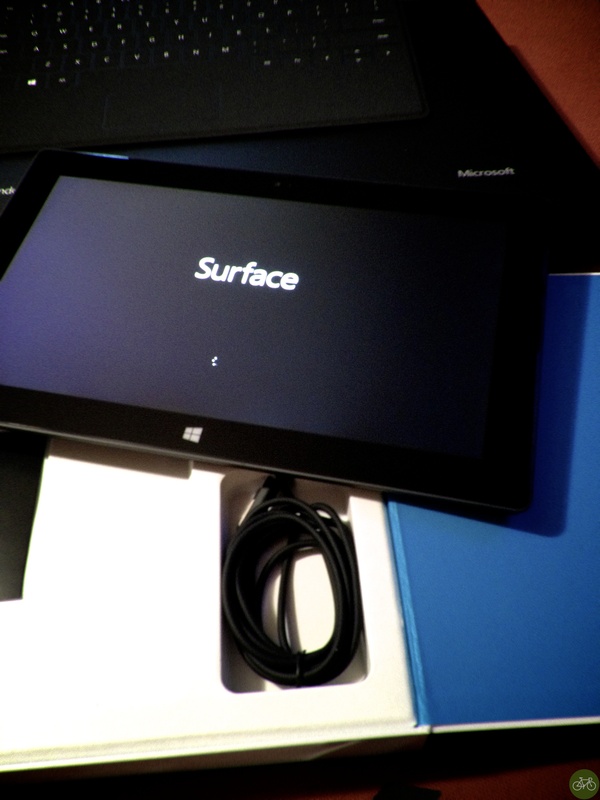 Pricing for Surface RTs start at $499.00. Find them on Amazon, the Windows Store in a mall or online.